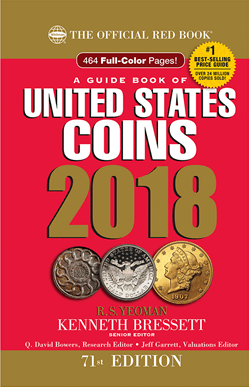 Whitman Publishing debuted the 71st edition of A Guide Book of United States Coins at the Whitman Expo on March 31, 2017. Early orders have been taken and some retailers are still waiting for their orders to arrive. For the hobby, waiting for the new Red Books is an annual rite of passage, even though some do not buy the book. Over the years, the Red Book has been updated to include more color, better images, and more information. 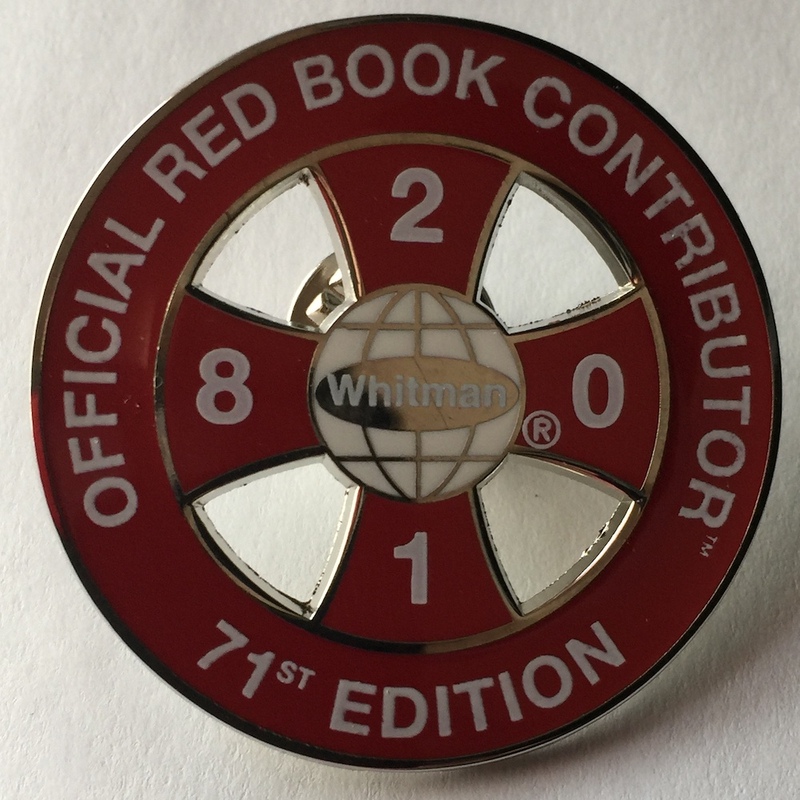 With the work of Q. David Bowers and the Whitman staff filling out the library of books about every coin type, mint and proof sets, and even a Red Book for the Red Book, there is an incentive to increase the purchase pattern. Then there’s MEGA RED, the phonebook-sized version that includes more information, in-depth analysis of some coins, and more items including significant tokens and major errors. For those not old enough to remember the phonebook, a relic caused by the Internet, if you lived in a densely-populated area, the 1500-page MEGA RED book is about as thick as the telephone book used to be in those areas. There is something a little different in this version of the Red Book. 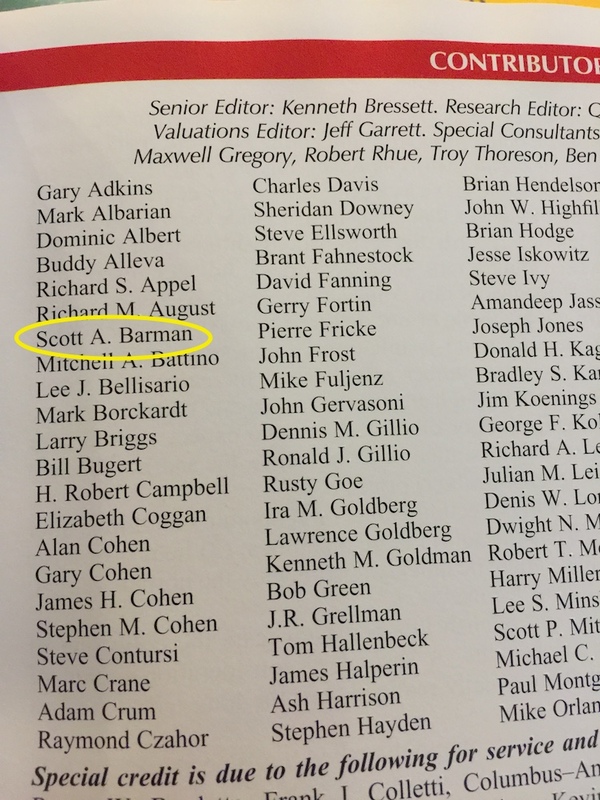 If you open to the Contributors page you will see the name of your favorite numismatic blogger. Last year, I responded to a call for pricing contributors to the Red Book. We provided an area of expertise and were assigned to submit the prices for our area. I volunteered to work on modern coin prices. Modern coins are those classified as being struck after 1964 when silver was removed from most U.S. coins. These are the coins that some dealers do not show a lot of love for because they are not perceived as worth the effort to sell. Although some of that has changed since the State Quarters were first introduced in 1999, the hobby should show more respect to these coins especially since we are 53 years into the modern era. Although many feel that the Red Book pricing is obsolete when it comes out, it is still a good guide to understanding the foundation of pricing even if there is are market fluctuations. Thus, it would not hurt to get these prices closer to being correct, especially for the upcoming collectors. After all, this is a “guide,” not a price list. For my part, I would attend shows with a worksheet I created of modern prices. The worksheet is stored on my iDevices and was editable as I attended shows and looked at coins online. When I noticed a glaring difference between what was once printed in the Red Book versus what I was seeing on the bourse floor, I would note the changes in my worksheet. Using this information, I would take the average of the prices and use that to recommend updates. Using modern terms, the coin prices reported by the Red Book is the result of crowdsourcing. Volunteers enter prices and the editors make the final determination from the input provides. It is not a perfect system but it works in an area where coin pricing is more of an art and not a science. Although I did not check to see how my recommended updates affected the prices in this edition of the Red Book. I just hope it helps.